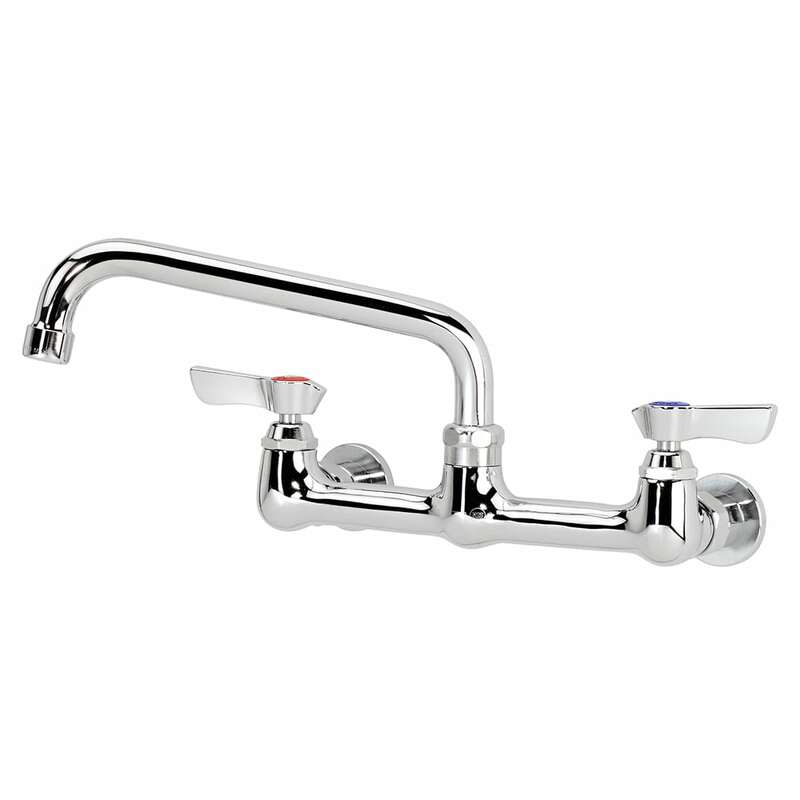 The Krowne 12-808L faucet can be used on a variety of sinks for rinsing stations, hand washing stations, and more. It can be mounted in the wall or on the backsplash of a unit, and the 8-inch spout swings so large pots can be set in the sink or for multiple bowl units. The Krowne 12-808L faucet is on 8-inch centers and has 1⁄2-inch NPT female inlets. It is low lead compliant for safe use. "I use this in my repair garage at home, and works as expected." "We have an automotive shop and this is used for the sink in the shop. It is a very nice faucet and fixed our old leaky problem." "I bought a faucet for my commercial sink for my food truck. It works great. Fit perfect and came as described. 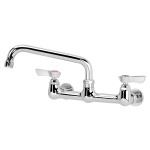 I would recommend this product a..."
"I bought a faucet for my commercial sink for my food truck. It works great. Fit perfect and came as described. I would recommend this product and this company to all. Also, I had ordered the wrong faucet and they fixed it that same day and got me the right faucet. Customer service was great and very helpful." "Be sure to really check what you order unit was described as a splash mount faucet but was in fact a wall mount faucet. Return process was slow"